I’ll be honest with you: I’m a night owl. I always liked staying up late. On good nights, I’d go to sleep at 12 or 1am and wake up at 7 or 8am. Yet, I always felt like I could never get enough done. I decided to try waking up early. All I did was shift my sleep: go to bed at 11pm, get up at 6am. 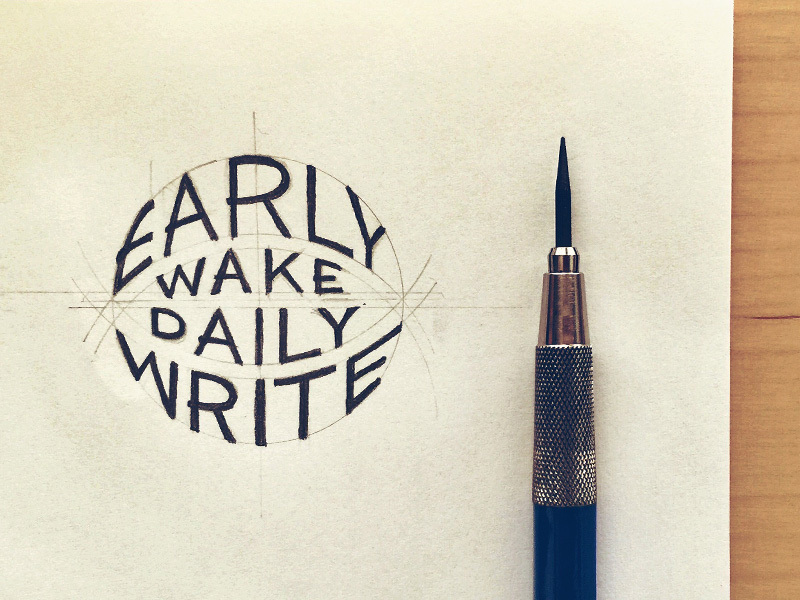 When I woke up, I would write as the first thing I did. This changed everything. In 2014, I wrote a million words. Some of you may or may not know that I have a twice-a-week podcast on creativity and business. I’ve written for hundreds of my own podcast episodes, dozens of newsletters and blog posts, courses, and speeches, and gotten about halfway finished with a book (still working on it). Choosing to wake up early wasn’t fun, but I simply could not argue with the results. It was plain and simple: the early morning hours are the most productive. I was getting 50–75% more work done in a day. I don’t wake up early because I enjoy it. I wake up early because I like who I am when I do. Speaking of writing every day, I’m launching a brand new version of my popular course: Learn Lettering 2.0 on July 27th, 2015. To celebrate, I’m publishing DAILY posts starting today (here’s the first one: Get Better At Hand Lettering the FAST Way by Changing How You Practice). For the next 30 days in a row, there will be new posts on hand lettering. Subscribe below to receive the free 30-day series on hand lettering leading up to the launch of the new Learn Lettering 2.0.